Girls will sing and shout to receive this spectacular personalised name print as a birthday gift. It features a girl rock star, from the ‘When I Grow Up…’ range, with crazy coloured hair and wearing a black leather jacket. Personalised with the child’s name in a bold black font, the print is available in A4 unframed, A4 framed and A3 unframed. 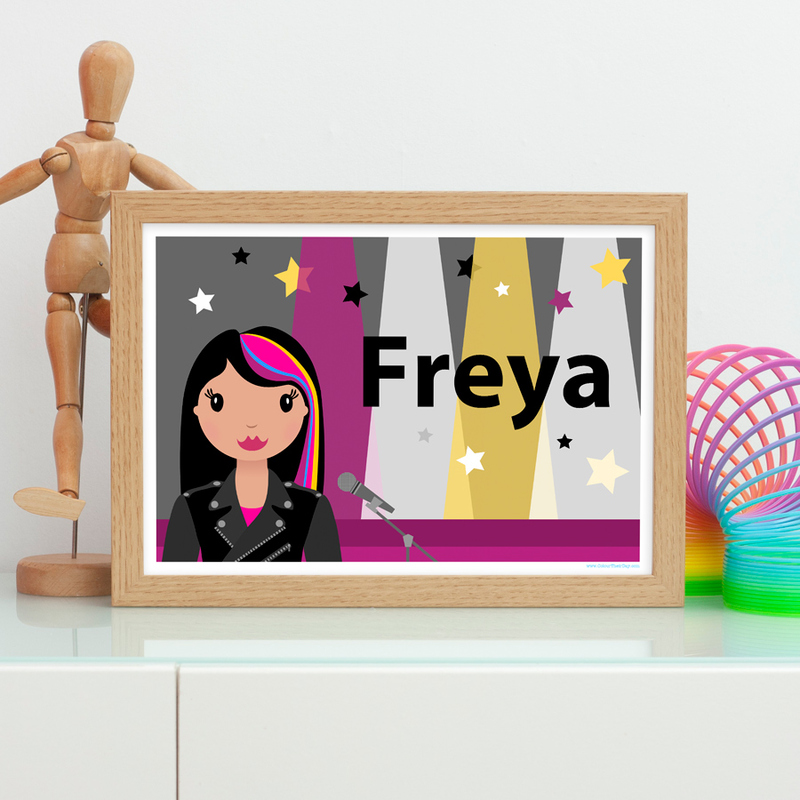 Be the first to review “Rock Star Girl Personalised A4 / A3 Name Print” Click here to cancel reply.